In Consult Your Inner Psychic (Weiser Books, September 2005), Carole Lynne provides a toolkit for tapping into that inner wisdom and soaring to a far better life  right now. Learn to unlock your own psychic powers with Lynnes trademark Psychic Intuitive Guidance Process, which includes the compelling Twelve Energies, Four States of Being, and 48 Messages. This remarkable book with companion CD offers two unique paths for learning the process: the Quick Start Approach, which will get you accessing your intuitive powers right away, and the Slow and Steady Approach, which helps you develop a deep wisdom that leads you to the ultimate goal of becoming your own psychic. Regardless of which path you choose, Lynnes message is powerful  through her easy-to-learn, easy-to-understand, enjoyable process you will discover that you are your own best psychic. For more title information, visit: http://www.weiserbooks.com. 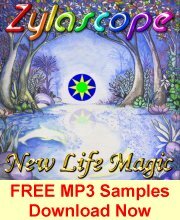 Carole Lynne is a psychic medium, author, musician, and motivational speaker. She is the author of Heart and Sound and How to Get a Good Reading from a Psychic Medium and the founder of Singing for the Soul, a spiritual approach to singing, and Quality Performance Coaching for performers and public speakers. 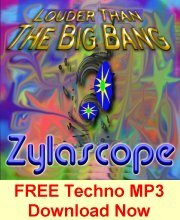 Listen to free previews of Zylascope’s Relaxation Music in our music store.